You can’t search your file and folder from start screen in windows 8 and 8.1, if you want to enable this option you need to search index every folder and drive. 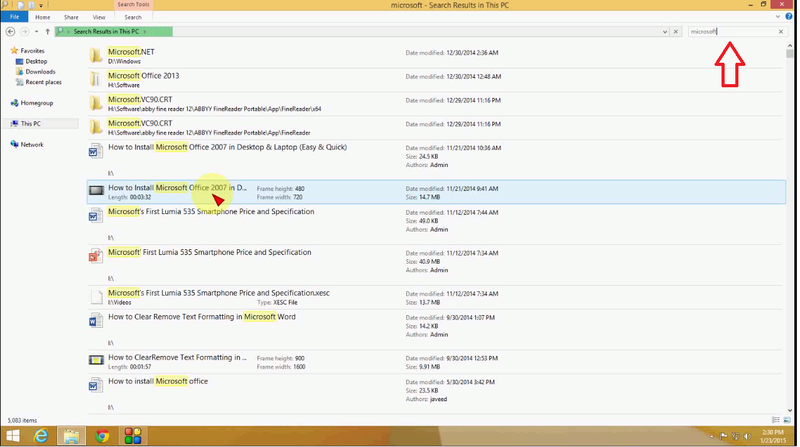 But from desktop you can easily search your file, text content and folders. 1. Hold “Windows key” and press “E” windows explorer will open.